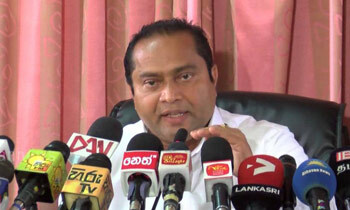 The Western Provincial Council (WPC) is to introduce a work-from-home-system or teleworking as a measure to ease traffic congestion and fuel emission in the Colombo City, WPC Chief Minister Isuru Deshapriya said. A discussion with government institutions on this concept which is to be introduced in collaboration with the Western Province Waste Management Authority (WMA) was held under the CM’s guidance at his office. The CM said traffic in Colombo was an environmental and an economic hazard and teleworking could mitigate this situation by at least 20 per cent." Teleworking allows employees to work from home or at a teleworking centre on one or more days of the week, using communication tools such as phones, fax, internet or e-mail. “Although various methods were adopted to reduce the traffic in Colombo and the suburbs at peak hours. Toll gates and lane discipline were introduced but none of these methods were successful in reducing traffic congestion,” said Dr. Priyantha Wijesooriya, a member of the WMA board of directors. Why wouldn't they propose to take some government departments out of Colombo? Finally something good from the rulers..do things like this rather than trying to destroy the country with corruption and trying to legalise evil things like lgbt abortion. Well, Idea is good!!! But we All know Execution is always Poor!!??? Cloud smart classroom, geeky! Teachers fired. Provide a reliable power supply first!!! Unless thought out correctly, this will fail.I know how it will be done! And where would all that electricity come from? Please do something to this traffic issue. We need a permanent solution. Start very reliable bus service with very secure parking places where commuters can park'n ride in a bus to the city. Construct a city circle bus service. Otherwise we will be facing lots of issues. Let us start with the politicians. We can save a lot of money!! !